Frequently Asked Questions. Answers to common questions. Below are the answers to frequently asked questions. If you still can’t find an answer to your question, please contact us. Pony Club NSW, established in 1946, is the largest recognised state body for pony clubs in Australia, and one of the largest association of riders in the world. Pony Club NSW is a not-for-profit youth organisation with all profits generated through club and event management invested into the development of horse riding in NSW through targeting grassroots, and elite development programs, competitions and education programs. What is the Organisational Structure of the Pony Club Association of NSW? The Pony Club Association of New South Wales is the controlling body for Pony Clubs in New South Wales. Pony Club NSW membership is comprised of approximately 271 registered Pony Clubs which are divided into 28 Zones, with 13, 000 fee-paying members. NSW has the largest representation of Australian Pony Club memberships at approximately 40%. These Pony Clubs operate from Tweed Heads in the north of the state to Eden in the south. What are the aims and objectives of Pony Club? Who can join Pony Club and what are the different types of Memberships? Senior Members 25 years and over. Only Junior and Associate members are allowed to compete or receive instruction. Regular, free instruction by qualified instructors in a range of disciplines. A total family experience - there is something for everyone. Meeting and socialising with people who share your passion and interests. Pony Clubs provide instruction for riders of all levels of competency from the beginner to the experienced rider. 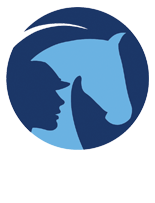 Conduct a Club Search via this website, to locate the closest Pony Club to you. Contact the Secretary of that Pony Club to find out when the next Rally Day is and what the membership fees are. If you have any questions about joining Pony Club, contact either the Local Club's secretary or call the State Office on (02) 4229 8977. Each club sets its own minimum age depending on the resources it has available. Members under 25 years have the opportunity to receive riding instruction and participate in competition. You will need to have access to a suitable horse or pony. For club rally days you may own or borrow a horse. To take part in competitions you must either own or have a lease of the horse or pony. What if I have a horse not a pony? It does not matter, so long as the mount is suitable. The word pony in Pony Club, was originally used by Pony Club UK and the name of the organisation is the same all over the world. Members should address their questions to their Club Secretary. All members should check the website first, to make sure the information you are seeking is not there already. How old does my horse have to be to ride at pony club? There is no minimum age of horses and ponies. The Club Chief Instructor will assess each horse & rider combination to ensure they are safe to participate. What are the Association fees? The Associations fees are set each year at the Annual General Meeting and are circulated to clubs via the bi-montly newsletter. These fees applicable to clubs only, member fees are set by each club please contact your club for full details. How do I sign up new members? Alternatively members can be registered online through the MyClub system. Access applications available under Forms from the Club & Zone Management tab. If utilising MyClub, clubs should wait until the begining of the following month for an invoice and then submit cheque payment along with the completed and signed risk warnings for each member. What is the entry fee for state championships? Entry fees will be listed on the Competition Schedules which will be posted under the Event's tab on the Associations website. How do I book a regional school? Contact Jane Frankum on coach@pcansw.org.au or telephone 02 4229 8977 (Tuesdays only). A refunded deposit of $550 applies as well as a fee of $25 per rider. Please note, only Zone Chief Instructors are authorised to book these schools. How do I become a Pony Club Instructor? Any member wishing to become an instructor must now complete the NCAS program by purchasing a workbook through the state office online store. You will then need to work through the book with your Zone Chief Instructor (ZCI), and mentor/s, and complete a NCAS school. When you are ready to complete a school speak to your ZCI who will organise one through the state office coaching co-ordinator. What are the area’s within pony club? What goes on in Pony Club? Recognised as the grassroots level of horse riding development, Pony Club NSW has over 270 clubs with over 15, 500 members. Some of the activities provided by Pony Clubs in NSW include training and competition in dressage, jumping (showjumping and jumping equitation), cross country jumping, sporting, mounted games, polocrosse, trail rides, campdrafting, showriding, eventing and many others. Other activities members can participate in include gymkhanas, camps, trail rides, lectures, films, and visits to places of interest. Pony Club NSW provides high level coaching to riders in each particular discipline. Riders recieve instruction from the State coaches. Instructors Schools are held at regular intervals at a Club, Zone and State level. The aim of the schools is to educate instructors and potential instructors to give them an opportunity to gain or improve their qualifications for instruction at Pony Clubs. Pony Club NSW has now embraced the National Coaching Accreditation Scheme (NCAS). NCAS, an initiative of the Australian Sports Commission (ASC), is a progressive coach education program. Pony Club NSW holds a Camp each year for the top 15 riders in the State in their chosen discipline, Dressage, Showjumping, Eventing and Mounted Games. These riders come together and are instructed by top Australian coaches. Competitions are held at a Club, Zone, State, National and International level. Pony Club NSW holds 9 state championships a year. While a number of clubs and zones also have regular competitions on an annual basis. Zone championships are generally held once a year for most disiplines, including Dressage, Show Jumping, One Day Event, Sporting, and Mounted Games. State Championships are held at roughly the same times each year. Please check the calendar, available on this website. Throughout their pony club career, riders are encouraged to undertake various efficiency tests according to their age and ability, commencing with the basic ‘D’ test through to ‘A’ test the highest level. These certificates aim to encourage the interest and improvement in knowledge of its members. They are viewed as a measure of a rider’s progress in their overall efficiency. In working for them riders acquire valuable knowledge and skills, which enhance their riding experience. How do Parents fit in with Pony Club? Assisting instructors especially with activities like sporting (putting flags out) and jumping (picking up pole when they are knocked down).